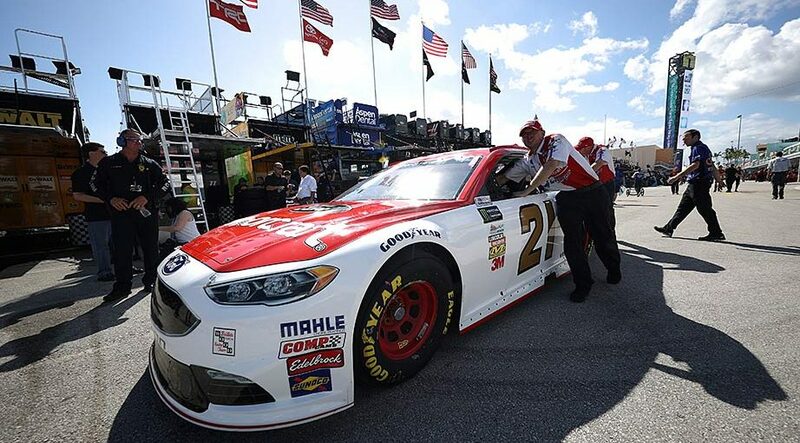 Wood Brothers Racing announced Monday that it has secured a charter for the Monster Energy NASCAR Cup Series in 2018 and subsequent seasons. The venerable team indicated that it had reached a long-term agreement with Archie St. Hilaire’s Go Fas Racing organization to control its charter, one of the 36 ownership stakes which guarantee starting positions each week in NASCAR’s top division. The Wood Brothers enter the 2018 season with Paul Menard as the driver of their No. 21 Ford. He replaces Ryan Blaney, who has shifted to Team Penske, which shares a technical alliance with the Wood Brothers. Go Fas Racing plans to campaign the No. 32 Ford for driver Matt DiBenedetto in 2018. The two sides agreed to a contract extension last August.